Welcome to Ars Arcanum, the MTGO stats-based column. A week ago, Gatecrash was released on Magic Online, and that means it is time for my usual draft format overview. For those that are reading for the first time, the idea behind the draft overviews is that I take empirical approach to analyzing the draft format. I watch around 600 decks in action, and record various data points, and then I do a detailed analysis. The data for this article is taken from eight 64-man drafts on MTGO from the dates 2/15/13 – 2/17/13. I have to admit that I’ve been a little bit nervous about this article. A few weeks ago, I wrote my Gatecrash Prerelease Primer, and my analysis was pretty different from what the majority of the MTG writing community predicted. Some of my key predictions were that the format would be very aggressive, Boros and Gruul would be the most played decks, but they would also be the worst, while Orzhov would be the best. Since then, the general consensus among the Magic community is that Boros is the best deck in the format, with Dimir being the worst. I went into this analysis wondering if I’d have to end up eating crow. On top of that, I’d be pretty disappointed if my predictions for the format turned out to be so wrong for the first time since Zendikar. With that said, crunching the numbers lead me to some very surprising conclusions, and not in the way that most readers are going to expect. I think that this particular study has taught me more about its format than any other I have done. My AVR overview probably still has the record for the most groundbreaking study I’ve done, but this one definitely comes in a close second. In this article, we’ll take a look at the speed of the format, and then dive deep into the guilds. After that, I’ll have a section on splashes. Tighten up your seatbelts, because here we go. For these charts, I have kept track of the ending turn of every game of Gatecrash in the study. This gives us a pretty good idea of the speed of the format, and putting the data on a line graph helps us get a good idea about how games of Gatecrash tend to play out. 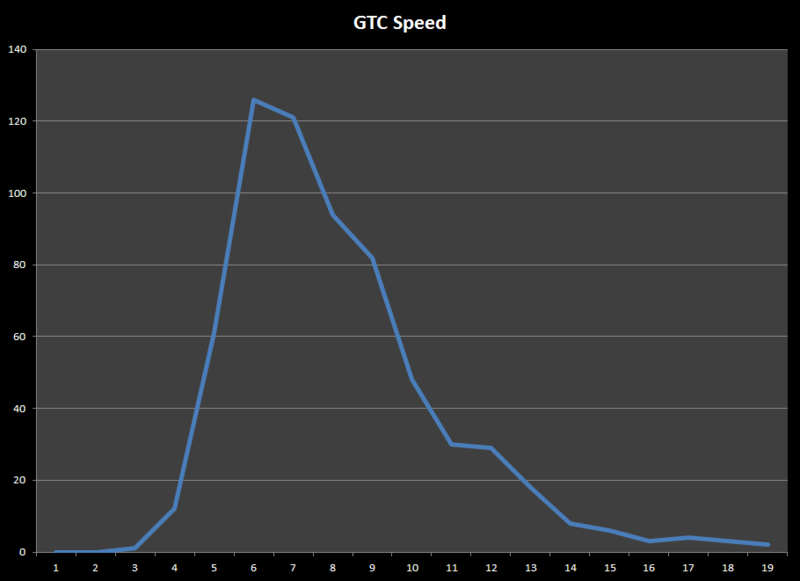 We see that about 1/3rd of all GTC games end on turn 7 or turn 8. Furthermore, only about one in seven GTC games makes it past turn eleven. Just this basic look at the data shows us that Gatecrash is a very fast format. It is not quite as fast as triple Zendikar was, but it is in the same range as AVR and M12. I think that the comparison with RTR is the most telling. We see that Gatecrash spikes high on turns seven and eight, and then drags under RTR for the rest of the graph. Where 50% of GTC games end between turns four and eight, only 42% of RTR games ended in that same range. 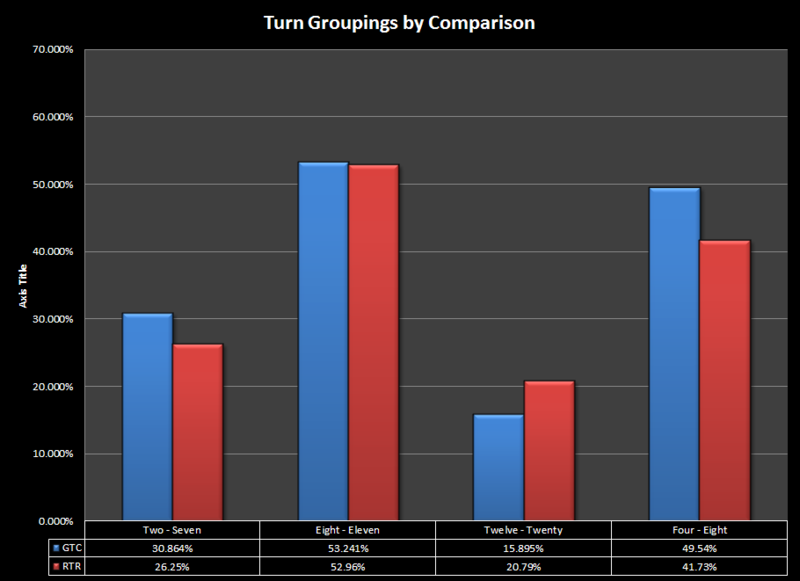 GTC games are also significantly more likely to end before turn eight. However, it is important to notice the big similarity here. Both formats are almost equal in games ending between turns eight and eleven, with a little bit more than 50% of the overall total. This is a very fast format, and that is mostly the result of Boros being played so heavily. Cards like Madcap Skills put a tremendous pressure on the early game. I did see a few games where the Boros player was able to play Boros Elite, into Wojek Halberdiers, into Skyknight, and that kind of start can end a game incredibly quickly. Furthermore, Boros, Gruul, and Simic all have access to Bloodrush which can allow a player to drop a lot of damage at an early point of the game. Several of the results in the early part of the game were caused by a combination of bloodrushing Wrecking Ogre and Slaughterhorn. But that isn’t the only reason why the format is so fast. Later on, we’ll see that Simic was the second most played guild. This is important, because Simic is the guild that has the least tools to interact in the early game. 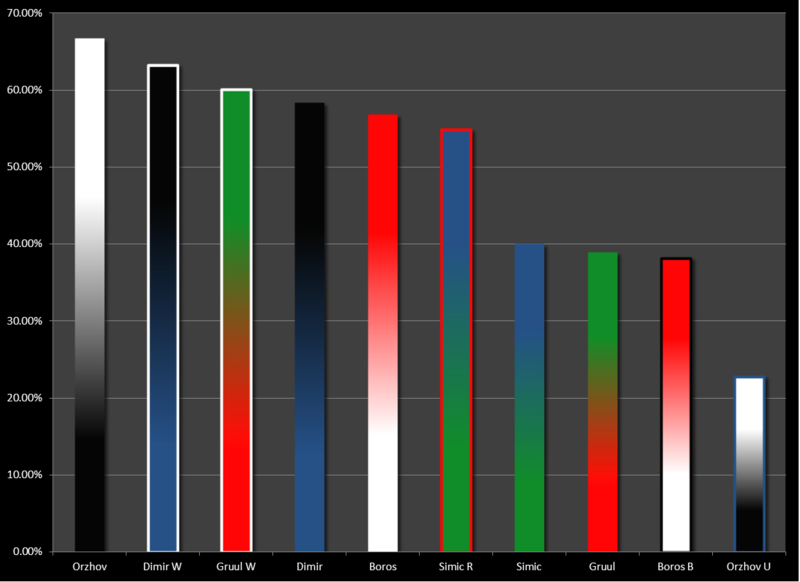 Since Boros and Simic together made up almost 50% of the overall format, and since both guilds just don’t have many tools for blocking in the early game, there was just a lot of damage dealt early on. The most important thing to understand, though, is how fast Orzhov and Dimir ended up being. Both of these guilds have access to evasive creatures and extort. If either can get in a significant amount of damage early, they can then quickly close out a game. All of the guilds in GTC have the tools to get off to a quick start. The speed of the format was probably the biggest factor in making many people lose. Many players went into the games without picking up the requisite tools for interacting in the early game. Because of this, they weren’t able to stop an early onslaught. Several people would be fighting to survive early on, and hoped to stabilize by playing a six or seven drop, but by that time, it was already too late. The first bit of advice that I would give you is to keep your curve as low as possible. Play as many two drops as you can get. If you are trying to play a more controlling deck, make sure that you have a lot of creatures to trade early on. Also, avoid anything that costs six or more mana. Six drops are okay if they have a dramatic impact on the board, and/or provide a two-for-one. Cards like Ruination Wurm or Smog Elemental are terrible and should be avoided at all cost. Seven drops should be avoided unless they are Gruul Ragebeast, Luminate Primordial, or possibly Sepulchral Primordial. Even then, those cards will often just be too slow to have a big impact on the game. I would take a Devour Flesh over any of them, for example. Finally, if there were an eight drop with the text “win the game” it would probably not make my deck 90% of the time. The best rule of thumb that I can give you for the format is that if you are ever having a hard time deciding between two cards, go with the cheaper one. We’ll talk more about the speed of the format when we get to the strategy for playing the best guilds, but just remember that the speed of Gatecrash has a huge impact on everything else. We have now arrived at the part of the article where I do not say I told you so. I also will not gloat in any fashion. The first thing that I want to talk about is the popularity chart. As I mentioned earlier, the two decks that were played the most often were Boros and Simic, making up a little more than 47% of the format overall. Both of these decks share a few key similarities. Neither of them plays efficient blockers in the early game. Both of them are particularly vulnerable to instant speed removal. While Simic does like the game to on a little longer, if it doesn’t have an engine cards like Ooze Flux, it really wants to just punch through for the win around turns seven or eight. Likewise, Boros will often slow down after a few turns, and then try to play out a large number of creatures, and win by attacking with battalion a couple of times in a row on turns seven and eight. There are also some pretty big differences. They have the exact opposite colors. Boros tries to win by dealing a lot of damage in the early game, while Simic can’t put that much pressure on the opponent in the first four turns. Boros tries to win by playing out a lot of creatures, while Simic tries to win by stacking up +1/+1 counters on one creature. Most importantly, Simic just dies to Boros. It is hard to imagine a better matchup for Boros than Simic; they won’t play out many blockers, so you can get in early. They don’t have many early game attackers, so you don’t have to worry about going on the offensive. When Simic finally does build up a big, evasive attacker, Boros can just use an Act of Treason on it and finish off the game. 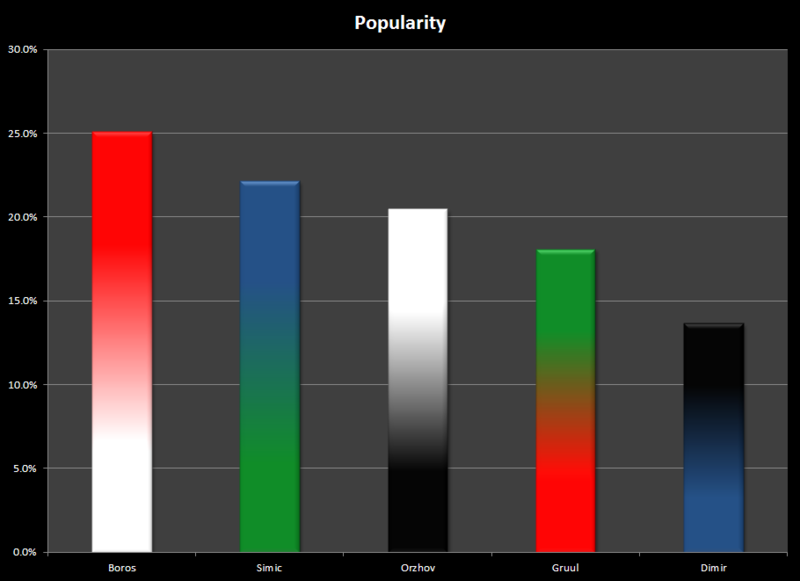 The rest of the popularity chart is similarly not surprising. Orzhov comes in ahead of all the other guilds, with Dimir being the least played deck. The popularity charts in my articles almost always directly reflect the overall opinion of the MTG community about the quality of decks. If you were to talk to a random Magic player, they would probably tell you that Boros is the best deck in the format, while Dimir is the worst. The popularity charts definitely reflect that sentiment. 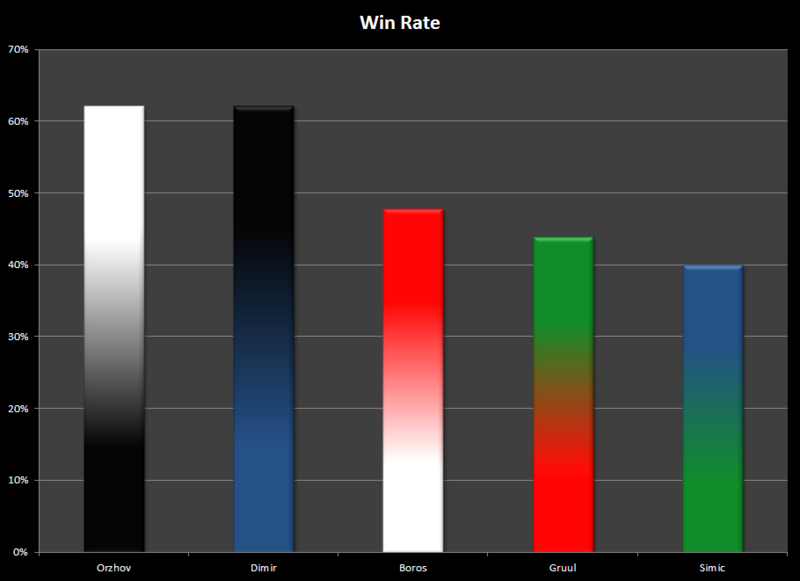 However, so far in my studies, I have not seen a popularity chart reflected in the Win Rate chart, and Gatecrash is no exception. Now, I should admit that there were a few things that I got wrong in my prerelease analysis. I obviously overestimated Simic. I’ve mentioned in the past that I have a deep and abiding love for UG tempo decks, and I have a feeling that that was affecting my judgment of the format. However, I also suspect that a big part of Simic’s current problem is the proliferation of Boros decks in the format, which is Simic’s worst matchup. I guess I overestimated the ability of Magic players to figure out that Boros wasn’t actually the best deck. The second thing I was wrong about was Dimir; I had it as the third best deck, but that was obviously incorrect. Dimir is significantly stronger than I originally thought. In the chart, we see that there are only two decks that managed to get a larger than 50% win rate: Orzhov and Dimir. 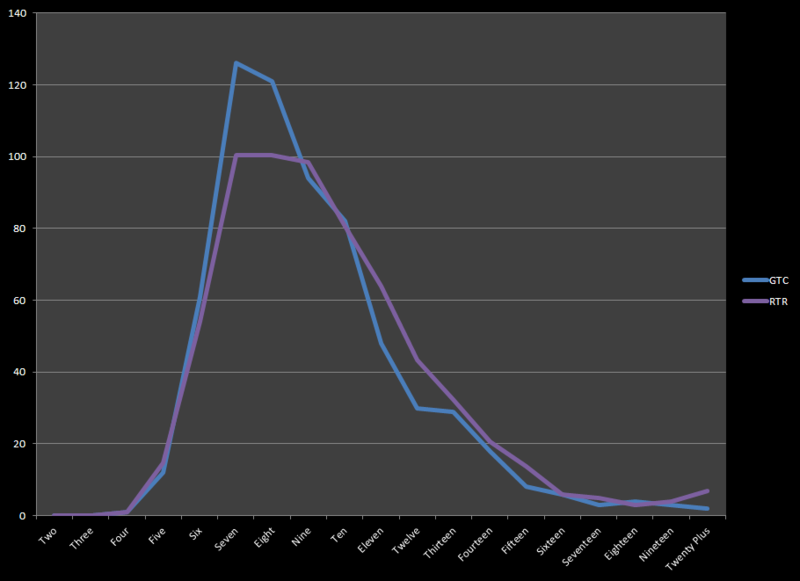 Also, I realize that it is hard to tell, but the graphs for Orzhov and Dimir are actually tied. They have the same win rate, at about 62%. This is the most dominant performance we have seen by a deck type since AVR. Orzhov and Dimir have a huge lead over the rest of the format. The big reason why is because there is such a disparity between public perception of the format and the reality of the format. Let me repeat this so that it can sink in. Dimir is tied for the best deck in the format. This is despite the fact that public perception has rated Dimir as the worst deck in the format. Over the past weekend, Orzhov and Dimir players capitalized on this discrepancy in order to completely dominate their opposition. 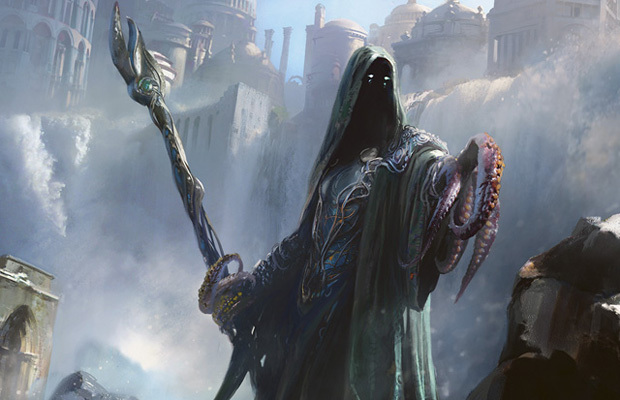 Several of the same players had repeat top 8 performances over the weekend, and those players were the ones who deliberately drafted Dimir or Orzhov. In my prerelease primer, I talked about how Orzhov was well-positioned to be the best deck in the format for several factors, and this data clearly demonstrates that my analysis was spot on. You’re probably wondering which of these two decks is better, but I’ll be addressing that when we look at splashes. For now, I’m going to call Dimir as the current best deck in the format, but it is a pretty narrow margin, and it is entirely possible that Orzhov is better. In any case, I’ll demonstrate the statistics behind that reasoning later; for now, I want to talk about how why these decks are so good, and I want to focus especially on how to draft Dimir. When I was first learning how to draft, I learned the BREAD acronym, which stands for Bombs, Removal, and Evasion, with the A and D standing for something different for each player. During the early days of Limited Resources, I remember Ryan Spain talking about how those two letters can basically be replaced by the concept of “Synergistic Things,” and I’ve adopted that heuristic for my own drafting. Discounting bombs, since we are looking specifically at commons and uncommons, we see that Orzhov and Dimir both get a lot of removal, a lot of evasion, and the bulk of the powerful synergies in the set. Mostly importantly, the strength of these two guilds draws heavily on the power of Black in the format. To demonstrate this, here is the list of common or uncommon removal with black in the casting cost: Death’s Approach, Devour Flesh, Dimir Charm, Dinrova Horror, Executioner’s Swing, Grisly Spectacle, Killing Glare, One Thousand Lashes, and Orzhov Charm. That is a lot of removal. Furthermore, six of those spells are instants. For the others, Death’s Approach is incredibly efficient if it kills something, and both Dinrova Horror and One Thousand Lashes provide what essentially amounts to card advantage. On top of this, Dimir gets Aehtherize, Agoraphobia, Hands of Binding, Rapid Hybridization, and Totally Llost, while Orzhov gets Angelic Edict, Debtor’s Pulpit, and Smite to supplement the black removal. That is a huge list of reasonably efficient removal, with a large portion of it being instant speed. As I mentioned earlier, this is particularly important against Boros and Simic, but it is also very good against Gruul. Simic tries to build up a large number of counters on a single creature, and a single Grisly Spectacle can destroy their entire game plan. Boros doesn’t rely so heavily on its individual creatures, but it does live or die on its ability to attack with three or more creatures. These two decks can often keep their opponent from having good Battalion attacks, or they can even dramatically punish someone for making a risky attack in order to get a few Battalion triggers. On top of this, these two colors get a tremendous list of evasive creatures. Between the three, we get Assault Griffin, Balustrade Spy, Basilica Screecher, Call of the Nightwing, Cloudfin Raptor, Daring Skyjek, and Deathcult Rogue, and that is if we stop at the D’s. On top of a long list of evasive creatures, these two guilds also both have access to Extort, which essentially gives them more evasive damage. These decks can afford to set up an early defense, because they have plenty of ways to punch through damage in the midgame. I first stumbled onto the power of Dimir during the prerelease events on MTGO for Gatecrash. As a diehard Simic fan, I went into the first few events wanting to draft Simic, and so I forced it several times, and died miserably. To make things worse, I had to keep passing late Dinrova Horrors (note: don’t pass Dinrova Horror). I started talking to my good friend and podcasting partner, Zach Orts*, about this problem, and we decided to start drafting Dimir. Over the next few days, the two of us drafted Dimir several times, and we both put together a rather remarkable string of successes. 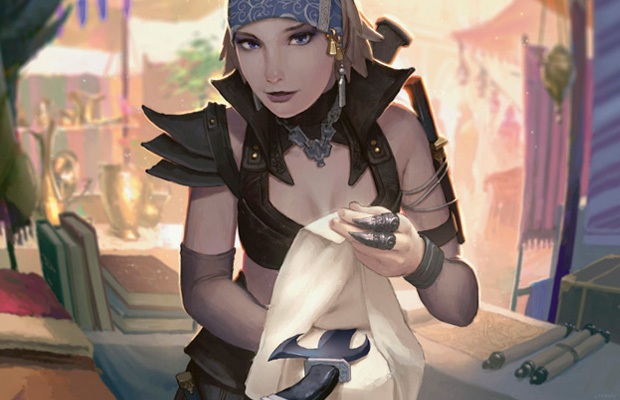 We still thought that Orzhov was the best deck in the format, but we started thinking that since Dimir was being so woefully underdrafted, that it was probably the most optimal choice in the current metagame?. After bouncing ideas off of each other for a few drafts, we really hammered out exactly what a good Dimir deck looks like. The most important thing to understand about Dimir is that it is not a control deck. Your goal is not to make the game last as long as possible. If you do, then you are eventually going to get burned out by Boros, Gruul will get a massive creature down when you are out of removal, Simic will get some kind of card advantage engine going, and Orzhov will be able to out extort you. I think that it helps to think of Dimir as being more like a sort of tempo/combo deck. The best example of a deck like this is Izzet. For example, in Izzet, your plan was to disrupt your opponent’s early game, and get in a little damage and set up a few key pieces in the mid-game, and destroy your opponent out of nowhere in the late mid-game with a Teleportal, Blustersquall, or Pursuit of Flight on Cobble Brute. You didn’t want to get into the late game; you just wanted the game to last long enough to set up your game plan. Dimir plays in a very similar way. Your goal is to disrupt the aggro decks early on with cheap creatures and a few removal spells. In the midgame, you want to stabilize, and then start getting in some incidental mill or damage, and start to piece together the rest of your game plan. Then, in the mid-late game, you’ll come out of nowhere to beat your opponent, usually with a bunch of Cipher/Extort triggers, a key removal spell to get through just enough damage, or even with a big and sudden grind attack on their library. 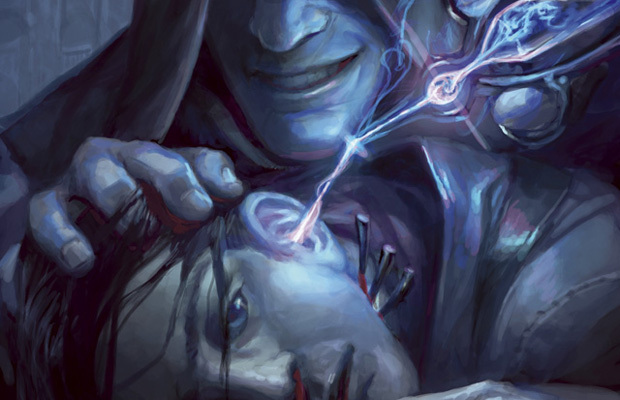 When you beat someone with Dimir, you’ll usually leave them scratching their heads and wondering where they beat you. As for the actual pieces of your deck, the first thing you want is a lot of removal. Fortunately, Dimir is able to pick up a lot of removal over the course of a draft. The bulk of your removal tends to center around Grisly Spectacle, Devour Flesh, and Death’s Approach, though you always supplement that removal with some combination of Agoraphobia, Hands of Binding, and Totally Lost. Dinrova Horror is your best removal spell, and you want as many of them as you can get. Typically, you’ll end up with between seven and ten removal spells. It’s worth noting that when you have that much removal, it really doesn’t matter what creatures you have on the board, so you’ll often just keep picking up removal, and then fill out your deck with Gutterskulks or Horror of the Dim. The next most important pieces are the evasive creatures. The best of these is Basilica Screecher, which is also Dimir’s second best common. I’ve heard many people underrating Basilica Screecher, but it really is the lynchpin of the deck. You can still put together a pretty good Dimir deck without Screecher, but the difference in quality is very noticeable. The reason why this creature is so good is that it performs two important and highly synergistic functions. First, it gives you extort. This is vital, because it allows you to put your life total out of range of your opponents, while also getting some incidental damage. Secondly, it is a cheap creature that can wear something with Cipher. The reason why it is so important is because it does both things at the same time, and Cipher plus Extort is easily the best thing about your deck. Balustrade Spy, Cloudfin Raptor, and Shadow Alley Denizen are probably your next best evasive creatures. The Spy is vital because it synergizes with the other parts of your deck, but Cloudfin Raptor is good simply because it is the cheapest evasive creature, which makes it a very frequent Cipher target. The Denizen is the most surprisingly important card in the deck. The best comparison I can make for Denizen is to Wingcrafter from AVR. Like Wingcrafter, the Denizen’s main purpose is to get bigger stuff through for damage. Obviously Wingcrafter was? better, since it is so good alongside Trusted Forcemage, but Denizen also allows you to punch through Cipher triggers when you normally couldn’t. Deathcult Rogue and Metropolis Sprite round out your evasive creatures, and both are imminently playable, since you really just need stuff that can carry cipher. The next thing that you need are things to interact in the early game. Boros is the most played deck, and it is actually very easy to beat, but it does require you to build your deck in specific ways in order to survive long enough to get your game plan going. The key creatures here are Corpse Blockade, Gutterskulk, Sage’s Row Denizen, Incursion Specialist, and even Slate Street Ruffian. Your goal is to deploy a two drop on turn two and a three drop on turn three, and then leave them back to block if possible. Corpse Blockade is the perfect card for this slot, and I often want two in my deck. Having Defender isn’t that big of a deal, since you are mainly trying to win off of a few evasive creatures anyway. The blockade does a great job of holding back Boros’s 3/1s and 3/2s, while you set up your game. But the most important thing is that you just need a creature on the board. Once you have something down, it makes all of your removal so much better. Instead of trying to kill everything, you only have to kill the things that can attack profitably. Your early game plan is to simply deploy a lot of creatures early and trade as often as possible. The next key cards for the deck are the synergistic cards that make your late-midgame so good. These cards are hard to categorize, since they all have slightly different functions. I should note in this section that I have found that about half of my wins in Dimir come from milling my opponent out. However, I don’t draft cards like Paranoid Delusions. What I do is take Grisly Spectacles, Sage’s Row Denizens, and Balustrade Spies, which all get in some incidental mill early on. Then, I’ll often use one of the following cards to close out a game if my opponent is low on cards. Duskmantle Guildmage is a great card for the deck, since he can completely alter a game change with a couple of activations from his first ability, while also being able to finish out a mill game at other times. Keymaster Rogue is a creature that could qualify as an evasive creature, but typically you have a hard time casting him on curve. Instead, he is one of your key late-midgame creatures since he can break through any board. Furthermore, he can combo with a few Sage’s Row Denizens to close out a mill game. Last Thoughts on an evasive creature is a great way to close out the end game, since it chains you into so many more key pieces. I’ve used Midnight Recovery to devastating effect, since I’m usually looking to trade off creatures early on. Undercity Informer is a card that I’ll first pick, since it does so much work in the early game, but can simply close out any game where you’ve gotten a little bit of incidental mill. Wight of Precinct Six is another card that I’ll first pick. Since you are playing so much incidental mill and removal, he often ends up being at least a 3/3, but will usually get up to 5/5 or bigger by the later stages of the game. At that point, he can start attacking freely, and you can usually use an instant speed removal spell to take down double blockers. Bane Alley Broker goes along with this group of cards, since it allows you to find the pieces that you need for this particular game. In any case, that is a lot of words on Dimir. Let’s move on to the section on splashes. I’ll have to keep it brief, but I want to focus especially on the reasons why I think the splash data indicates that Dimir is a stronger guild overall than Orzhov. This second graph gives us a much different picture of the format overall. For example, we see that Orzhov without a splash is easily the best deck in the format. Also, we see Gruul with a white splash putting up pretty big numbers, but I should note that it had a pretty low percentage for popularity. Boros jumps up over 50% when it isn’t splashing, but all of the Boros decks with splashes get only a 28% win rate together. Simic does much better when it is paired up with some good red removal. This explains a lot of why Boros is not as good as people assume; it is incredibly vulnerable to overdrafting. If you don’t draft a streamlined Boros deck, then it is going to be terrible, while a focused Boros deck still only has the fifth best winning rate in the format. But as I said, I want to talk about Orzhov and Dimir and figure out which of the two is better. First, let me point out all of the reasons that point to Orzhov being better. You’ll remember that the two guilds had a tie in their win rate. 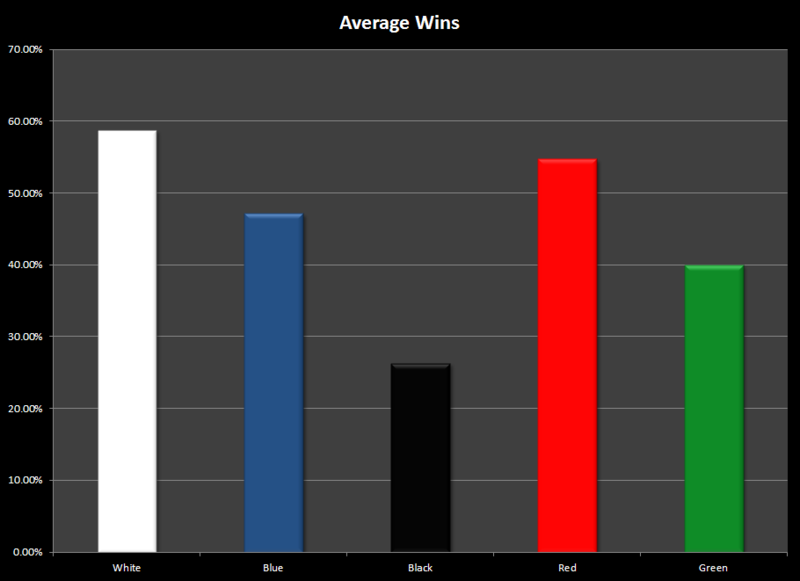 However, Orzhov achieved that win rate while being drafted much more heavily. Furthermore, Orzhov without splashes put up the highest percentages in this last section. Finally, Orzhov also put up a slightly higher draft win by popularity rate than Dimir (18% to 16% respectively). All of these factors show that Orzhov could definitely be the better deck overall. The points in favor of Dimir are much more subtle. 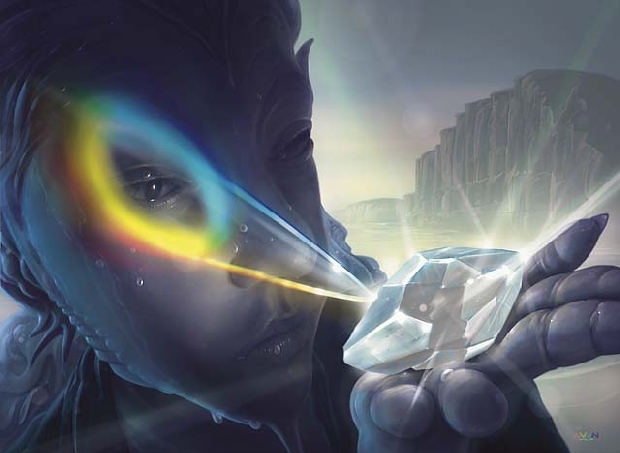 First, my own observations showed that a large number of Dimir’s losses came at the hands of people that simply did not know how to draft a good Dimir deck. 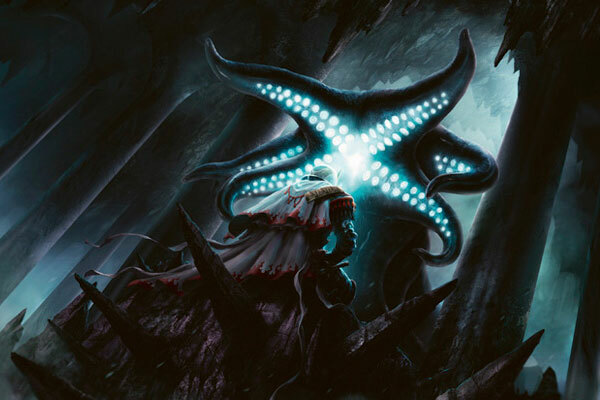 If those people had read this article, they would have known that cards like Mortus Strider or Paranoid Delusions are only playable in very specific versions of Dimir, and they would have stuck to playing more Gutterskulks and Corpse Blockades, which would have increased Dimir’s win percentage quite a bit. Secondly, we can see the numbers for Orzhov splashing U, which has a win rate of 22%. In other words, it was the worst performing deck in the format. I suspect that most of those decks belong to people that should have been in Dimir, but since they thought Dimir was bad, they avoided all but the obviously powerful blue cards, like Dinrova Horror, and fought with their neighbors for a bunch of suboptimal white cards. I suspect that if those people had noticed the signals to go into Dimir, they would have ended up with much better decks. Finally, Dimir is the best deck for beating Orzhov. Dimir can fight Orzhov extort for extort in the late-midgame, since it is also getting extort triggers off of its cipher cards. Also, Dimir gets to pick up some key card advantage spells which allows them to pick up some value in a long extort vs. extort game. Finally, the can often just ignore Orzhov’s life total and finish them off with a good amount of mill. I should also talk a little bit about where I expect the format to go in the future. First, I expect people are going to start drafting Boros and Simic a little less frequently, and migrate more towards Orzhov, Dimir, and Gruul. However, I don’t think this bodes well for Boros. The thing is, Boros picked up a lot of its wins by facing a large amount of Simic and other Boros decks. Those decks are not very well equipped to block Boros in the early game. However, if the metagame shifts away from those decks, then it will shift towards the decks that are best equipped for beating Boros. Furthermore, there are still plenty of people who are convinced that Boros is the best deck in the format, so there won’t be enough people moving away from the deck to make it underdrafted. However, I expect that these changes will be quite good for Simic. Once people start to notice how bad Simic is overall, they should move to something else en masse. I expect that in a couple of weeks, Simic will be the least drafted guild, and then you’ll be able to get all of the key cards and engines that can make Simic quite good. Furthermore, there should be less Boros decks, which is Simic’’s worst nemesis, while there should also be more Black decks. A Simic deck with an engine (the engine part is key) is the absolute best deck for beating the black decks in the format, since it allows you to play more threats than their removal can deal with. Therefore, Simic will eventually become a good metagame choice, but it still hurts me that it is the worst choice in the format currently. 1. Gatecrash is a very fast format. You need to make sure that your deck has plenty of ways to interact in the early game, or you simply will not survive. 2. On this same point, you should avoid things that cost more than 5 mana, unless they are tremendously powerful. 3. Also, if you are having a difficult decision between two cards, you should usually just take the cheaper card. 4. Boros is decidedly not the best deck in the format, and I highly recommend that people stop trying to force it. 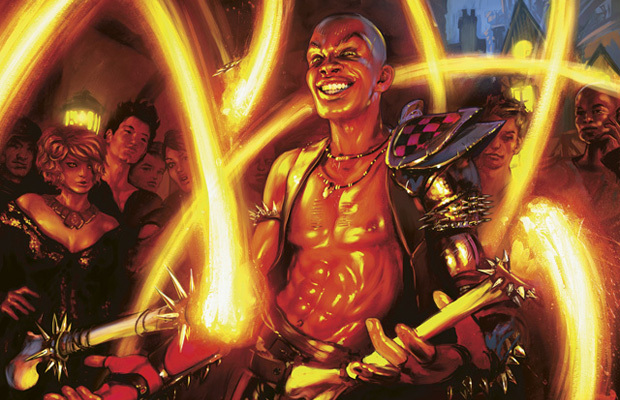 If you are fighting over Boros, your deck is going to end up terrible. 5. Black is the best color in the format, and either Orzhov or Dimir is the best deck. They are well equipped to handle the most played decks in the format. 6. Dimir is possibly the best deck in the format, despite being maligned by the MTG community as a whole. The key is to draft it like a tempo/combo deck, and not like a control deck, much like what happened with Izzet in RTR. 7. Boros will likely get worse in the next few weeks as its worst matchups become more popular. As always, you can follow me on twitter @oraymw for updates about articles. I’ve also put up a Tumblr account at http://oraymw.tumblr.com/ where I post links to my articles. You can go there and subscribe to the RSS feed, and then you’ll be able to get updates whenever a new article goes live. Amazing article. Very surprised by the Dimir result. I've actually submitted the first of a "forcing dimir" miniseries where I explore the undervalued guild more fully and show how it can work realistically. Many of the points you touched on are correct. Zach Orts pointed out something really important to me the other day, when he was talking about the applicability of these articles, and I wanted to discuss that for a moment in the comments, since it doesn't really have anything to do with the main topic of the article. My main worry is that people will take these articles and try to use them as a blueprint. They'll look at this, and try to use it to go into a draft with the intention of "forcing" a particular guild, merely because it has a high win percentage. A blueprint is used to build something to exact specifications; you don't deviate from the blueprint, and it is the entire focus of your project. I think of these articles as more of like a map. I have spent some time surveying the surrounding area, and I've tried to create as accurate a map as possible of the things that I have seen. I tell you about everything I saw over the little ridge off to the east, and I let you know that where the river bends up in the north, you'll run into some pretty dangerous territory. From a military perspective, a map is incredibly important, since it will guide your strategy. However, you still need to use your eyes and look at where the enemies are at. Likewise, you should go into a draft with the idea of the different kind of directions that are possible, and then choose the best available option based on what you actually see in the pack. Hope that helps the readers! Because of this, the graphs are spiking at different "numbers." This was just because, for some reason I haven't figured out yet, Excel automatically labeled the first graph with numbers instead of the written out numbers. The graphs start at two, because I've never seen a limited game end on turn one. So the second graph is accurate, while the first should be adjusted so that each number is one higher. I will try to remember to fix that when it does the same thing the next time I put these graphs together. Sorry for posting another comment in a row, but I've been getting a few questions in other parts of the internet about the article, and I want to put the answer to them in a central location so that anyone reading the article can easily find the answer. For example, this comment comes from reddit: "OMG, playing underdrafted colors is better draft strategy than playing overdarfted colors, who would have known!!! !1"
This is an overly reductive statement, but it touches on an important issue. How much of an impact does overdrafting have on win rates? The answer is not as much as most Magic players seem to think. One in four players is in Boros, or two per draft. There are 45 cards per player in a draft. Take 45 and multiply by 8, and you get 360 cards total. Take out 24 basic lands. That leaves us with 336 cards that form a given drafts card pool. Divide that by five (the number of guilds), and we get 67.2 cards per guild in any given draft. If you believe that overdrafting is causing Boros's low win rate, then what you are saying is that you cannot find 46 cards out of 67.2 that can make up a winning deck. In other words, you are telling me that about 1/3 cards in Boros is unplayable. If that is the case, then Boros is not the best guild. That is the exact point I'm trying to make. If 25% is too much for a guild to handle, then that means the guild isn't good enough. One of my big complaints about Boros is that it is too highly susceptible to overdrafting, and it seems that that is exactly what the data is showing us. Two out of eight is not "overdrafting," and so the argument that overdrafting is what causes Boros's low win rate is just not validated. Well, that math could be a bit misleading. Does each card fit cleanly only into 1 guild? There are also a number of cards that are just not going to get played. As for Dimir, the question I would pose would be, does it still do as well with 2 drafters? At 15%, you have roughly 1 person a table, so the strictly Dimir cards as easier to get. I do agree Dimir is better than thought, but I do not think it would be better than Orzhoz given the same amount of competition for cards. I don't understand how this math is misleading. If we have to divide all of the cards in the set in five parts, this is the number that is left. Of course, there is some bleed between guilds. Boros can take white cards from the "Orzhov" pool and red cards from the "Gruul" pool. But the point still stands. If there are five guilds, and each guild has the same number of cards in its card pool, then we can divide the number of cards by the number of guilds to get it's overall pool. As to the point that some cards won't get played, you are simply demonstrating the point I just made. Yes, there are some number of cards that aren't good enough to get played. But if that number equals one third of your card pool, then your guild is not that good. I'll reiterate my point. People always assume that overdrafting and underdrafting has a bigger impact on a draft format than it does in actuality. For Dimir, you have 1.12 people at a table playing Dimir. That means you need 25.76 cards out of 67.5. There is easily that number of playables. If Dimir spikes up to 20%, then they will need 36.8 playables. There are definitely 11 more playable cards in Dimir's card pool. Be careful of overanalyzing the affect of overdrafting and underdrafting. I'm going to put together an article demonstrating my point about this, but after having done several of these set analyses, I can demonstrate that these phenomenons have a smaller affect on win rate than you would think.